A smarter lunchroom is one that nudges kids towards nutritious foods. 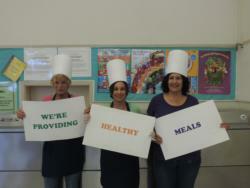 Over 30 million children are fed by the National School Lunch Program (NSLP). 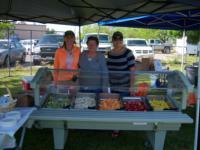 We believe that this program is an opportunity for kids to select and consume a balance diet. The Smarter Lunchroom applies research-based principles that lead children to make healthy choices when provided with the full spectrum of choice. 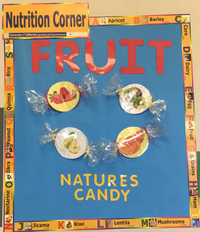 UC Davis established the Center for Nutrition in Schools (CNS) in response to the needs of teachers and administrators for nutrition education resources and professional development opportunities. Our goal is to provide resources relevant to child nutrition programs, district wellness policies, community partnerships, student education, professional education, and parent education. We invite you to explore the wide variety of resources available on our site including curriculum, training opportunities, and up-to-date information about nutrition. Why Create a Smarter Lunchroom? We have short training video's about the SLM for your food service staff. Please contact our office if you would like to start this training. 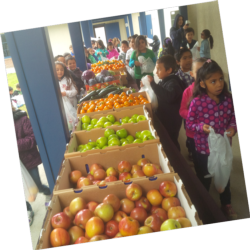 Terri Thomas,Food Service Supervisor at Bret Harte Elementary School in Corcoran Unified School District provided a Farmer's Market for the students. The California Professional Nutrition Education and Training (Cal-Pro-NET) network is a collaborative effort between the California Department of Education and institutions of higher learning that represent the three public college systems in the state.